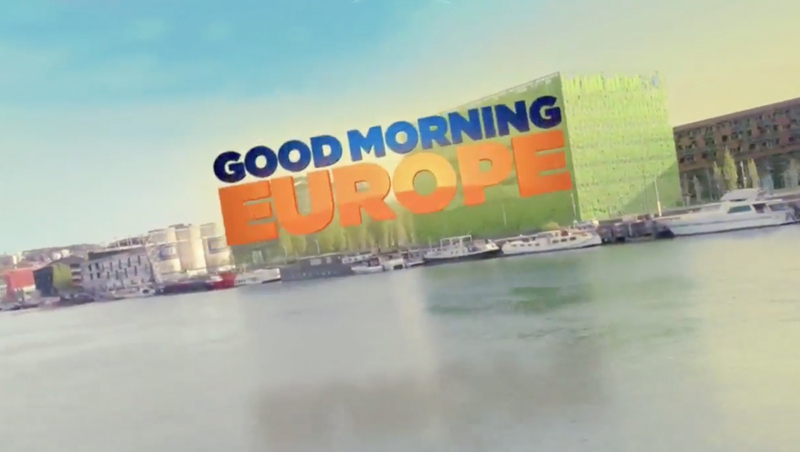 English language Euronews has launched a new morning news block under the “Good Morning Europe” banner. 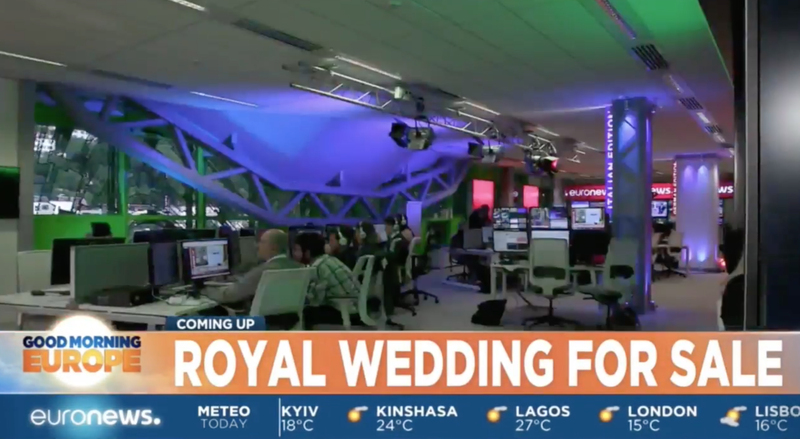 The show originates from the network’s distinctive neon green building in Lyon, France, in a studio that combines a working newsroom and social media center. NBC News completed its purchase of a 25 percent stake in Euronews in June 2017. 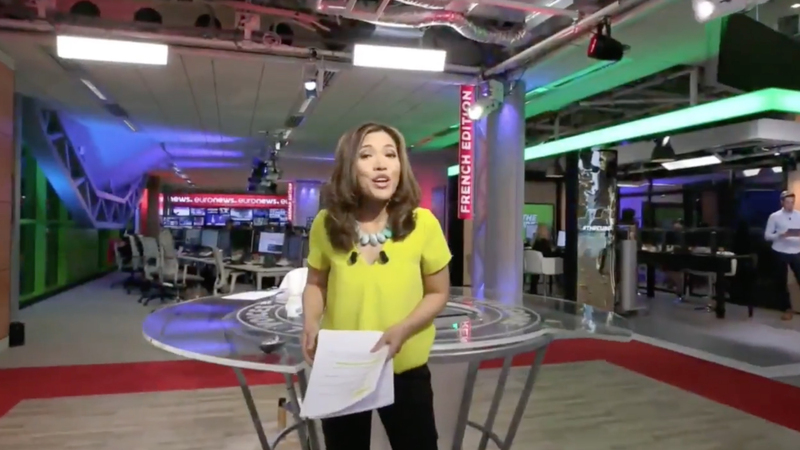 Home base for the network’s new morning show is a circular anchor desk placed next to a video wall and video columns. The circular element, which itself is borrowed from Euronews’ distinctive “o” and is repeated in the show’s logo as a bright sun icon behind the logotypes. Circular ring accents are also used as an animated wipe element and the show’s tease graphics. Nearby home base, darkened newsroom area that’s backed by a monitor array and bold red header that makes prominent appearances behind the anchor. A portion of the building’s arch is dramatically lit in violet purple and helps break up the dark space with a splash of color.